So, I have spent the last 2 months searching frantically for my nearly new Honor 9. It was only a few months old and I had become *really* attached to it. The last I remembered, I had given it to my 6 year old son to ‘keep him quiet’ whilst I got on with chores, at least, this was my understanding. As anyone one would do when they lose their phone, I looked up my where my phone was on the Google find your android, but as the phone was off, I had very little info. I was stumped. All I had was the day and time it last synced with Google. It hadn’t been turned on since and convinced the phone was somewhere in the house, I’ve spent almost every other day, turning over various parts of my house to find it. Last night, whilst driving home from my mum’s house, I had the idea to check what photos were last taken on the phone as I would be able to see that in Google photos. The last pic was taken on the day I lost it. I thought this might jog my memory… unfortunately it didn’t. I kept Googling and eventually came across this great article by trendblog.net who cover almost every way of locating your phone without a tracking app. There’s a section on there about finding your phone, even if it’s out of power or turned off. 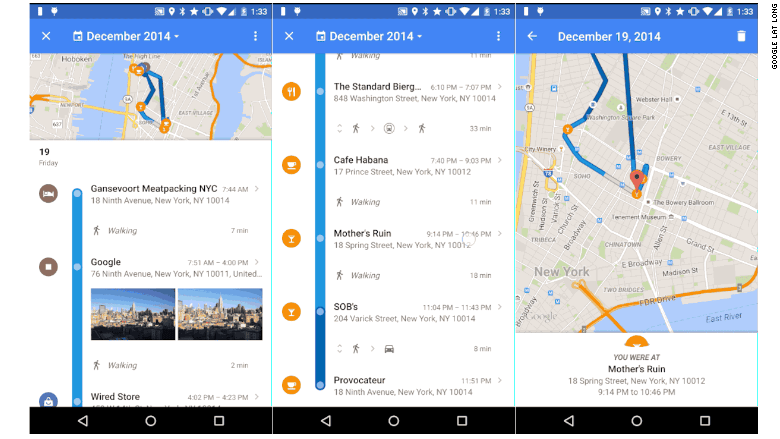 It speaks about a service called Google Timeline, which basically shows you where you’ve been at what times. Whilst I find this totally creepy, I’m so relieved in this instance, as it showed that I had taken my son swimming that afternoon and then went home. I have 2 phones, so it did log me as getting home, but it enabled me to work out a short window where I might have lost the phone. The phone hadn’t been turned on again, so it was unlikely it was stolen, which is why I thought it was in my house. As soon as the Leisure Centre opened, I called them up and the lady explained they log lost property by date and asked me for an approximate day. Due to the information I had from Google Timeline, I was able to pinpoint it to time as well as day. She had a quick check and had found it in the book. She explained that they usually dispose of items after a month, but would check with the manager and call me back. Sure enough, within a few minutes, she called me back and the phone was in their safe. Iw as over the moon and did a bit of a squeal down the phone. I popped down to the centre today and there it was… my shiny, beautiful, Honor 9. So, even though a lot of you might already know about this, I thought it was worth doing a quick write up to help those that don’t. Whilst I don’t particularly like that fact that Google know my every move, in this particular case, I’m so grateful they do.